Join us for 1big1 – a grand closing party for the Sam Meech exhibition GIRT SHYNING WEALS, inspired by Russell Hoban’s influential 1980s science fiction novel ‘Riddley Walker‘. 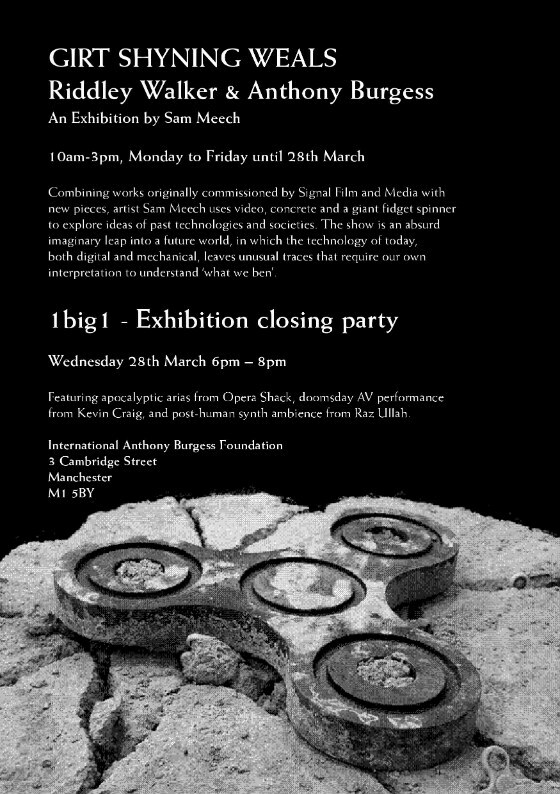 Combining works originally commissioned by Signal Film and Media with new pieces, artist Sam Meech uses video, concrete and a giant fidget spinner to explore ideas of past technologies and societies. 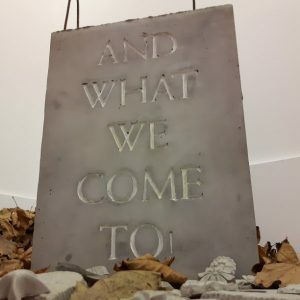 The show is an absurd imaginary leap into a future world, in which the technology of today, both digital and mechanical, leaves unusual traces that require our own interpretation to understand ‘what we ben’. The party is a last chance to catch the exhibition outside of work hours. The evening, running from 6pm until 8pm, will feature apocalyptic arias from Opera Shack, doomsday AV performance from Kevin Craig, and post-human synth ambience from Raz Ullah. Click here to book your free GIRT SHYNING TIKKIT to the closing party. Meanwhile, the free exhibition is currently showing 10am-3pm, Monday to Friday until 28th March.